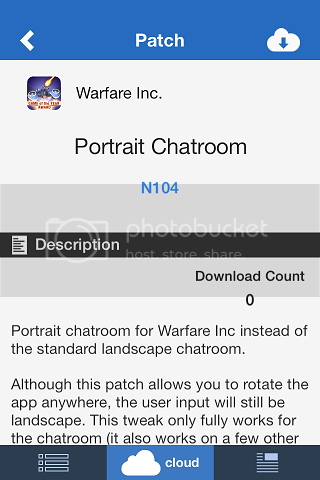 I made a Flex patch for Warfare Incorporated to allow a portrait chatroom. 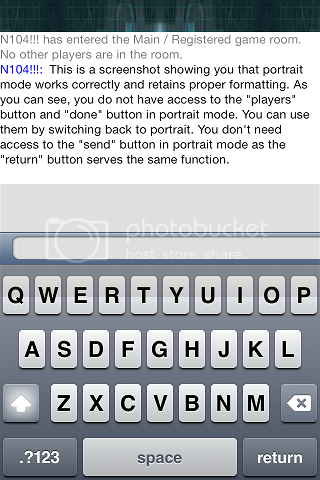 To get this you will need a jailbroken device and a tweak called Flex 2 ($3.99). 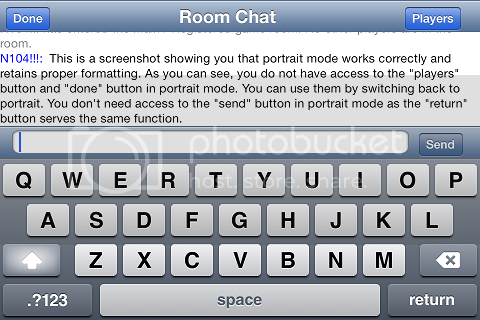 Works on iOS 5 - iOS 7 (iOS 7 is the newest iOS at the time of this post). Screenshots below. Screenshot's size was reduced by 50% for easy forum viewing. Were there a lot of players with jailbroken devices then?